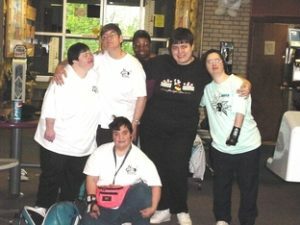 Turtle Creek Valley has been providing high quality day programming for adults with intellectual developmental disabilities (IDD) through its Adult Training Facilities since 1978. The program focuses on community integration and offers a unique blend of opportunities including training in cooking, health maintenance, vocational skills and employment readiness. We enjoy activities such as picnics, bowling, movies, exercise groups, trips to local attractions and sporting events. Family involvement in all aspects of the program is encouraged. The Older Adult Program provides needed supports and recreational/leisure activities for older adults with intellectual developmental disabilities (IDD). While at the program, individuals have the opportunity to participate in a variety of daily activities, such as: bingo, card parties, arts & crafts and holiday parties. Outings to various places, such as picnics, community events and mall trips, are offered. A nurse evaluates all senior’s health concerns four times a year. TCV provides individuals with the support and service they need to live successfully in the community. Participants in the programs are assessed to determine their support needs in areas such as daily living skills, home management, budgeting, shopping, safety skills, community awareness and recreation. The goal is to help every participant obtain independence within his or her home and community.